The DNV Trail Crew is still hard at work on Fromme Mountain, despite freezing temperatures, working through the final days of their tenure. A massive amount of improvements have been made over the course of the season, and a number of projects are now near completion in their last days on Fromme. All work on the Dreamweaver bridges is nearly complete and will be finalized this week. The nearly 10 bridges on Griffin have been completed. The new boardwalk on the Baden Powell will be completed this week. Significant erosion on upper trails is being assessed and a plan for this last project will be in place before the end of this week. 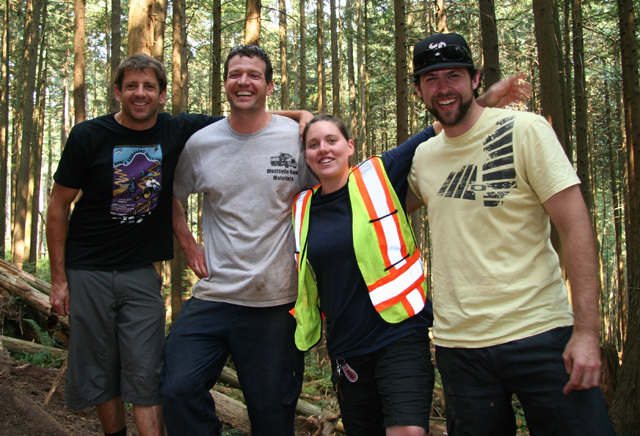 Thank you to the DNV Trail Crew for all of their hard work to improve the trail network on Fromme including the addition of Bobsled, a trail that has opened the door for beginner’s to join the sport.